Home > News, Blog & Events > Lab Innovations – back for 2017! Lab Innovations – back for 2017! 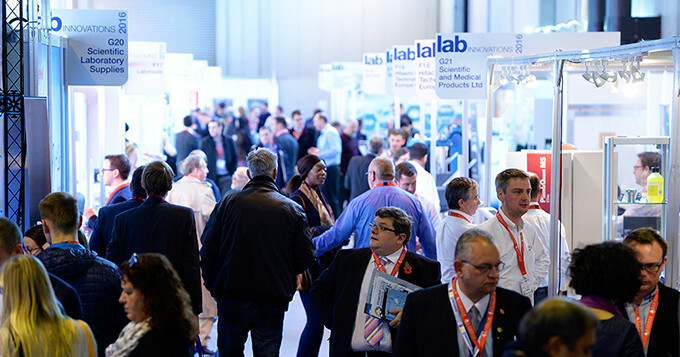 Lab Innovations – the UK’s only dedicated showcase for laboratory technology, analytical and biotech equipment – returns for its sixth consecutive year on 1 & 2 November 2017 at the NEC, Birmingham. With the largest gathering of laboratory suppliers in the UK, this free-to-attend show has lots on offer for professionals across a wide range of sectors, from pharmaceuticals to food and drink. The Science Council is proud to partner with Lab Innovations this year as it continues its strong links with the scientific community. Other partners include GAMBICA, the Royal Society of Chemistry, Innovation DB and UKSPA for 2017. The packed schedule will cover the latest trends in laboratory science across three live theatres, including the all new Insights and Innovations theatre, which will feature debates about the latest advances in food and drink technology, life sciences and pharma. The Royal Society of Chemistry theatre will focus on the analysis of illicit substances – including cannabis and so-called ‘legal highs’ and counterfeit pharmaceuticals – as well as laboratory automation, in-process analysis and, new for this year, sessions from the Royal Society of Chemistry’s careers service. New exhibitors for 2017 will include Microlit, Thermo Fisher Scientific, VWR International, GS Biotech, Alphatech and LabVantage Solutions, and there will be over 150 exhibitors in total – such as Eppendorf, Shimadzu and Scientific Laboratory Supplies (SLS) – meaning the show is not to be missed. Come and hear inspiring speakers, find out about the latest product launches, network with fellow innovators, and get involved in interactive seminars and hands-on demonstrations.